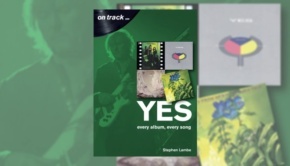 This will be a brief review of the album as there are already far too many words out there about Yes’s most progressive work. Ah, I see the old trick of starting off with a mildly controversial statement worked, you’re still reading! Joking apart, I actually mean it. 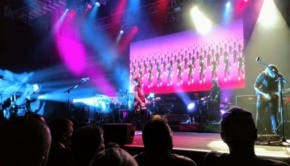 Patrick Moraz gave Yes an edge that they have rarely showed, before or since. If only the band, with what had already started to be seen as one of the most ruthless HR departments in the history of rock, had not summarily ditched Moraz the second Wakeman wanted back in, who knows where the Swiss maestro might have taken this most singular of groups? Fair enough, we wouldn’t have had Going For The One, the last truly great Yes album; well, we might, but it wouldn’t have sounded as it did. The album starts with the then obligatory side-long epic The Gates Of Delirium, a piece that for all intents and purposes is two songs joined rather clumsily together by the sonic mess of the “battle sequence”. Up to the end of the lyric section things are straightforward enough, and the instrumental section that follows is fine. Moraz trades licks with Steve Howe at his most angry-sounding, his seldom used Telecaster battering you round the head from the rear speakers. Such is the clarity, you can feel the plectrum creating the sharp metallic shards of notes the good old Tele is famous for. The effect Moraz’s new blood is having is visceral. Then comes the disjointed battle sequence that I have never quite come to terms with. To my ears it just sounds messy in construct, and the sonic swoops and battle cries from Moraz’s Moog, brought to the fore in the absence of the background sound effects on the muddy original mix only serve to make this more apparent. There can be no doubt that Soon is a separate song, and really should have been tracklisted as such. Indeed, it was even released as single, and that edit is included on the CD. It seems even back in the original era, prog fans were more likely to be swayed by the length of a track, eh? Probably Jon Anderson’s most emotional performance for the band, the new mix is a delight, making Anderson’s slightly reverbed vocal sound even more ethereal than the original. Combined with Howe’s pedal steel soaring around like a joyous bird in full flight it packs one heck of an emotive punch. The first time I heard this new mix, it gave me the shivers. Lovely! 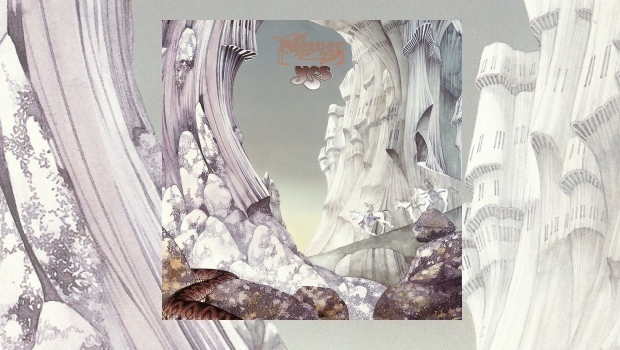 The key track for me on Relayer is Sound Chaser. Moraz initially fires off Alan White at his most furious, that being another result of the new boy making the others up their game, turning this song into a peculiar take on jazz fusion that only Yes could have come up with. Moraz’s playing rivals the likes of Chick Corea, and makes this one song worth the entry price alone. In the background of the first vocal part you can hear Howe playing some dazzlingly fast licks that defy logic. McLaughlin, eat your heart out! Howe comes out of the shadows for that astonishing jazz-classical burst around three and a half minutes in, and in 5.1 it is simply amazing. 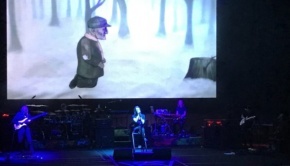 Howe would never be this animated again, and this is maybe where Moraz might have taken the band had he stayed on – Roundabout it ain’t! There is symphonic rock here too, but of a far more angular kind than the band had attempted before. It sounds like a fully realised idea from the half-formed mess of the Tales… sessions, with added jazz pizzaz, exemplified by Moraz’s wonderful synth-electric piano spot near the end. If Stravinsky had been leading a jazz fusion band, he may well have written Sound Chaser, a song that would make my Yes top five, no question. The original Relayer LP was beamed in from the bottom of a swamp – or so it seems now. The delicate multi-keyboard playing at the beginning of To Be Over is now revealed in all its crystalline beauty. To Be Over, as Sid Smith rightly points out in his typically informative and entertaining booklet essay, harks back to And You And I and forward to parts of Awaken. Lacking the hooks of those two iconic tracks, it is not as memorable as either, but it remains a typical Jon Anderson otherworldly Yes ballad, and now you can hear it properly. Howe is again sat at the pedal steel, which mixmaster Steven Wilson brings right out of the speakers to emphasise its heavenly sound. Often associated with country and western cheese, here it sounds like angels on the wing, with no hint of schmaltz at all. 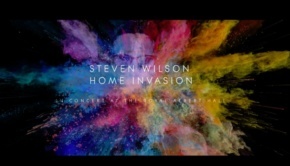 With this 5.1 mix of an album that cried out for it, Steven Wilson has triumphed again, and cements his place as the go to guy for sonic wizardry. My original contention that Relayer was Yes’ most progressive work hinges entirely on the slightly mad but brilliant Sound Chaser, a song that saw both Alan White and Steve Howe play in a hitherto unprecedented aggressive manner, spurred on by Patrick Moraz. The keyboard player will forever go down in my memory as a missed opportunity for this most wilful of bands, but we do have this quite remarkable if slightly flawed album to dwell on what could have been. Sorry, that didn’t turn out to be brief at all, did it? !